If you're in Singapore and desperate need of a fun, new hobby, your saving grace is not too far! Singapore boasts of a small but efficient horse riding circle, complete with stallions, mares and therapy horses. From single trips to coaching sessions, it has all the answers for your equestrian needs. 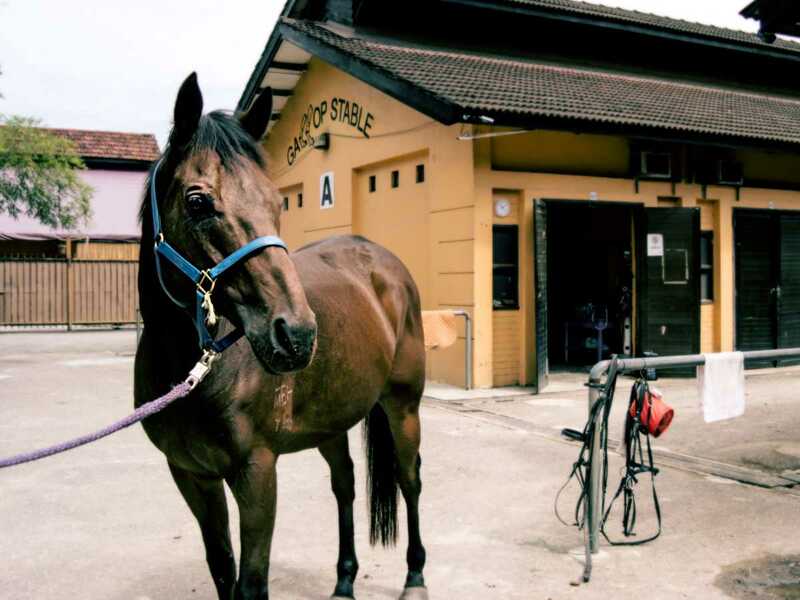 Go through our guide and know about the best stables and horse riding clubs in the Lion City today, and trot your way into people's hearts as you ride along on a magnificent horse! This stable holds the distinction of being Singapore's largest public riding range, and more than a hundred and eighty horses with ten instructors. You can sign up for single, private or group lessons, making this a perfect date idea too. You can even take your children on a stable trip and show them how to care for ponies. This stable checks all boxes, and is perfect for solo tourists, couples and families as they also offer hacks! The only cross-country course in Singapore, BTSC hosts group events, solo rides, club meetings and leisure lessons too. Housing about 95 horses and 10 riding coaches, this club caters to all sections of the population. If you plan on staying in Singapore, you can take up membership, or just access the public non-member facilities. There are obstacle courses you can check out too! Kids' lessons are also offered here, but they do not provide hacks. Cost: Guided trail strolls range from SGD 100 - SGD 150 per person, for 45 minutes. Pony rides cost SGD 10 per ride. You can also take up riding lessons at a price of SGD 450 for four sessions. Timings: The Club is closed on Monday, and open all other days of the week from 7:00 AM to 11:00 AM, and 3:30 PM to 7:00 PM. The Turf Club has a breathtaking landscape where you can take your horse on a comfortable trot. It has comprehensive classes for beginners as well, making it a crowd favourite for horse riding in Singapore. The horses, ponies and caretakers are all stellar, with about 25 horses and 2 instructors. Note that hacks aren't offered here. This school for horse riding in Singapore is established under the Equestrian Federation of Singapore which has options for children, teenagers and adults. Housing 35 horses and three coaches, the Centre offers training programs for children too. Keep in mind that hacks are not offered here. Timings: The Centre is open from 7:00 AM to 7:00 PM on all days except Monday. Set up in 1886, the Singapore Polo Club has a thriving Riding Centre which has more than five riding instructors and sixty-five horses, to offer you a comprehensive riding program. Children's lessons are also taken up here. The public can even take the horses on rides, and hacks are offered. The RDA Centre is one of its kind centres for horse riding in Singapore, as it offers horse riding as a therapeutic setup for both physical and cognitive illnesses. From cognitive disorders to cerebral palsy, the centre provides hippotherapy (horse-assisted therapy) for people with physical, learning or intellectual disabilities. You can even volunteer here! Cost: They provide free equine-assisted therapy to patrons, but accept and appreciate donations. You have to register beforehand to avail services. Timings: The Centre is open from 9:00 AM to 5:30 PM on weekdays, and from 9:00 AM to 12:30 PM on Saturdays. It is not open on Sunday. Be it for tourists or locals, the riding centres in Singapore have something in store for everyone. Horse riding in Singapore makes for a great family outing or a fun, adventurous date too. Which stable was your favourite? Which club do you look forward to visiting? Share your thoughts in the comments section below. Giddy-up!